Dr.Malpani's Blog: Who should decide if it is ethical to terminate an abnormal fetus at 24 weeks ? Who should decide if it is ethical to terminate an abnormal fetus at 24 weeks ? The recent case about a woman who was raped and then asked for permission to terminate an abnormal fetus at 24 weeks of pregnancy has attracted lot of media attention. She appealed to the Supreme Court, which decided that the woman should be allowed to terminate her pregnancy. They carved out an exception for her, because the current MTP ( medical termination of pregnancy) law doesn't allow doctors to terminate pregnancies beyond 20 weeks — even if the fetus has a lethal defect. While this is being described as a triumph of women's rights, the case raises a lot of issues. For one, just think about the amount of time, money and energy which was consumed in giving permission to this one woman — the lawyer's efforts; the SC judges; and the doctors who were empanelled by the Court to give their medical expert opinion. Isn't this a waste because it was all expended on just one case? While this helps the woman in question, what about all the other women who may find themselves in the same boat? In fact, we've now established a precedent where every pregnant woman who finds herself in the same situation will go running to the court. We will just end up clogging the judicial system with all these cases, and this is not in anyone's interests. Pregnancy is a very personal matter, and whether or not to terminate an abnormal fetus should actually be a medical decision, which is best left up to the patient and her doctor. The trouble is, we don't trust our doctors anymore to make these decisions correctly, which is why we have draconian laws like the Pre-Conception and Pre-Natal Diagnostic Techniques Act (PCPNDT) which treat every doctor as a criminal anytime he/she does an ultrasound scan, until proven otherwise. It's this kind of thinking which has contaminated the entire health care system. The question is — why do we trust judges to be able to provide wiser decisions as compared to doctors? Doctors are the medical experts, who are experienced at dealing with individual patients who are faced with such complex choices. Aren't these decisions best made at an individual level by the patient and her doctor, rather than asking for judicial intervention every time the patient falls outside the rigid artificial framework of the law? Why do we expect the judiciary or the parliament to be able to solve these problems? Let's assume that because of all the media attention, the law does get amended to allow termination of pregnancy up to 24 weeks. Then what happens to the next woman who finds that her fetus has an abnormality at 25 weeks? Does she also have to go to the Supreme Court? Do we change the law every few years? We need to step back and think about what we are achieving by passing laws like this, which lay down a firm line as to what is allowed and what is not. Wouldn't it make much more sense to give autonomy to the medical profession so they can make the right decisions for their patients? Both logically and intuitively, most people feel that it makes sense to allow a woman who has an abnormal fetus to terminate it, because we are really not serving any purpose by forcing her to give birth to an abnormal baby. Yes, there are difficult ethical issues. For example, what happens if the baby has Down's syndrome, which means the baby would live, but would be mentally retarded? 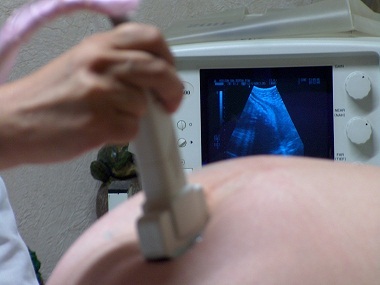 Does the mother have the right to terminate the pregnancy? Or does the baby have a right to live, and that just because the baby is mentally retarded, should his right be taken away? These are difficult issues which the medical profession, philosophers and ethicists have grappled with for many years. I don't think anyone has found the right answer as yet. However, it makes no sense to me that we expect either the judiciary or the legislature to be able to provide the correct solution. For one, the legal system is painfully slow, and it can never keep up with advances in medical technology, or with social opinion. It is unreasonable to expect the law to be able to solve such thorny issues. This judgment has not solved the problem — we have just kicked the can further down the road. What we really need are empowering laws, which allow doctors and patients to make the right decision for themselves, based on the individual circumstances of the case. Unless we can trust doctors to do this ethically and correctly, this issue is going to become progressively unmanageable, because all we've done is provide a short term fix to this individual woman's problem. We've not addressed the larger issues which have been raised. In one sense, this is a lost opportunity, and we need to look at the bigger picture and find long term effective solutions. While the judicial system is great at resolving conflicts and punishing criminal activity, it's really not well suited for solving these kind of problems. Utilising scarce and valuable judicial resources for solving these kind of issues is very wasteful. A rigid law is not an effective solution, because we cannot use a one size fits all approach for these problems. The law cannot provide customised solutions for each unique patient. It would make more sense to pass a law which sets up a regulatory body, with judges and doctors on the panel, which could weigh each thorny problem individually. The panel could give each case the time and attention it deserves, rather than saddling the already creaking judicial system with even more cases.